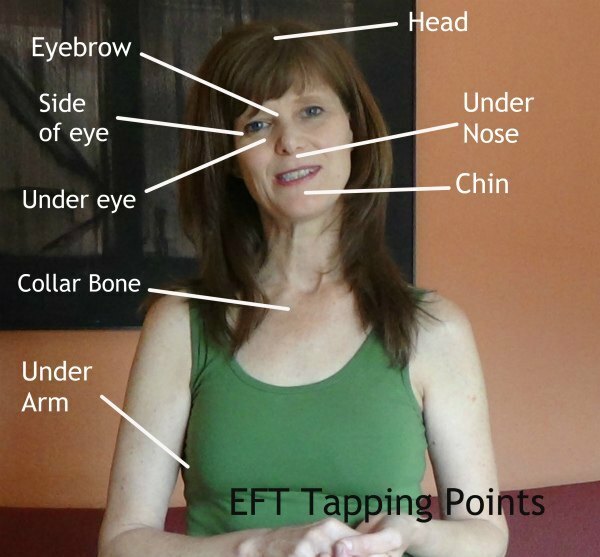 Check out my 21 Days of Tapping Video Series and create your own daily habit. As you tap along you can easily substitute the words I am saying for others which feel more true for you in that moment. You can tap with either hand (or even both) - don't get too hung up on the details. Just get tapping! While these short videos are not a substitute for the specific work that can be done working one on one with a practitioner they are offered as a convenient and accessible resource. I hope you will find them to be of great benefit to you as you tap into a better life. These videos are also easy to share with others who could use some support, so please feel free to let others know about them. Here's to your best life ever! Identify the upset and rate it on a scale of 1-10. Using a couple of fingers, tap round the points shown - for as long as feels right (or as you follow along with the video. Stop tapping, take a deep breath and re-rate the upset.